Are you ready to sell your home? Call your trusted real estate professional today. 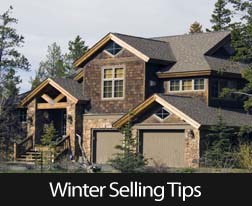 This entry was posted in Real Estate Tips and tagged Real Estate Tips,Home Selling Tips,Winter Selling Tips. Bookmark the permalink.